Considered on of Japan’s biggest exports, Japanese pop culture (J-Pop) not only reflects the attitudes and concerns of the present but also provides a link to the past. Japanese cinema, cuisine, television programs,anime, manga, and music all developed from older artistic traditions, and many of their themes and styles of presentation can be traced to traditional art forms. Japanese pop culture, much like the traditional forms, provide not only entertainment but also an escape for the contemporary Japanese from the problems of the everyday world. 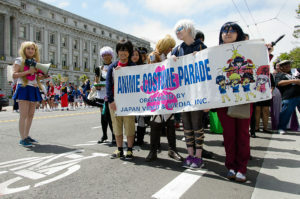 J-Pop can be seen on both weekends at the Sakura 360 stage, Anime Contest, and parade.